» Sania Mirza Tops WTA Doubles Rankings ! After narrowly missing a medal in Rio, Sania Mirza has something to cheer about after climbing to the top of the women’s doubles rankings. She won the Cincinnati title in partnership with Barbora Strycova. They beat Martina Hingis and Coco Vandeweghe 7-5, 6-4. The 29-year-old will move alone to the top of the rankings, after she and Swiss Hingis ended their highly successful partnership last month as joint number ones. The dominant pairing claimed 14 titles, including three Grand Slams. Hingis came to Cincinnati off the back of winning Olympics silver for Switzerland with Timea Bacsinszky in Rio de Janeiro. Hingis and Vandeweghe were leading the first set 5-1 before Sania and Barbora fought back to win the match. 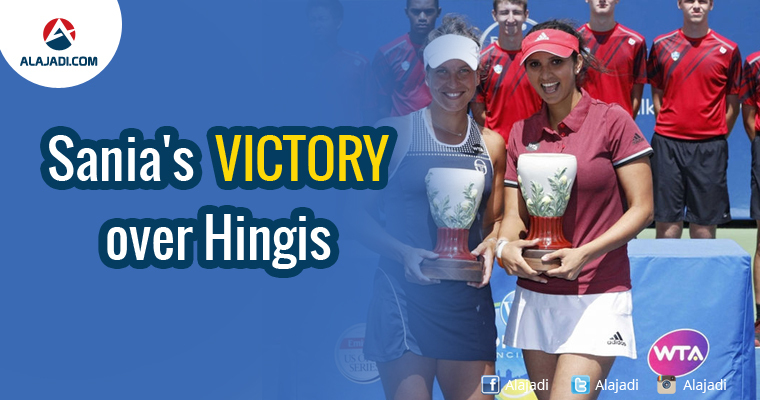 Though Hingis and Sania are no longer permanently together, they will still play in October’s year-end WTA Tour Championships in Singapore.